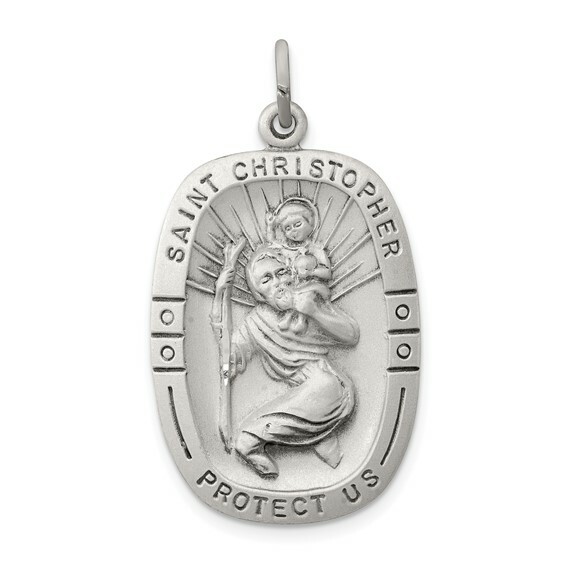 Oblong shaped St. Christopher medal is made of antiqued sterling silver. Item size: 1 inch tall by 11/16 inch wide without bail. This item is the size of a quarter. Weight: 6.69 grams. Made in the USA. I loved the design and so did my grandson. He is a Marine.